“When you think about automation, you have to forget the equipment and focus on transfer of material and related information. Automation is all about understanding customers’ processes and collecting and processing big data. The Automated Reach Truck Rocla ART, launched at LogiMAT 2019 in Stuttgart, is the newest addition to Rocla’s holistic intralogistics automation solutions, and its innovation process was triggered by customer needs.” - Petri Petäys, Sales Director at Rocla AGV Solutions. An automated guided vehicle labors in a pitch-dark warehouse 24/7, 365 days a year, ten years in a row. At regular intervals, it stops to charge its batteries or to get some quick maintenance. It never complains, has a bad day or takes a vacation. A core goal of automation is to work smarter and to improve process control, traceability and safety. Other important advantages of automation are more reliable processes, increases in productivity, and energy savings. 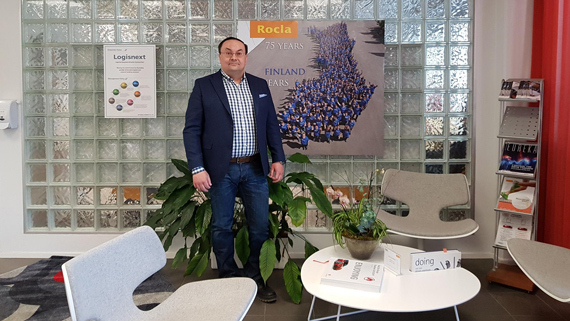 “Automation, at its best, is something you can just forget about, because you do not have to worry about it at all”, says Mr. Petri Petäys, the Sales Director at Rocla AGV Solutions. One quite common misunderstanding of implementing intralogistics automation is that all existing manually operated trucks should be replaced with the same amount of automated trucks. Although the ongoing digitalization is a hot topic, it has been an essential part of Rocla’s day-to-day operations already for decades. “Thanks to our long and extensive experience in intralogistics and automation, we are aware of our customers’ lines of business and the challenges they face. We have really listened to them. This insight makes us stand out from the crowd”, Petri Petäys explains. “Our automated intralogistics solutions are tailor-made, easy to implement and designed to serve 24/7 for decades. Our customers need to feel safe about implementing Rocla AGV solutions. Therefore, the lifetime service aspect is a crucial part of the comprehensive solution”, Petri Petäys sums up. 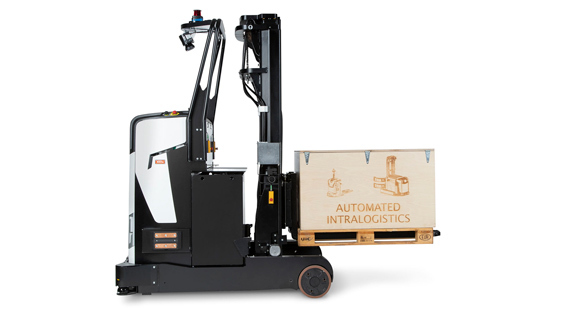 The newest addition to Rocla’s holistic intralogistics solution is the Automated Reach Truck Rocla ART, launched at LogiMAT 2019 in Stuttgart. The innovation process of Rocla ART was triggered by customer needs. “The manually operated reach truck is the workhorse, the reliable machine that does the load handing. 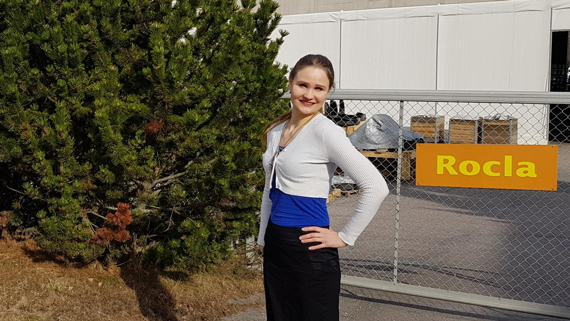 Together with the low-level order pickers, the reach trucks compose the core of the supply chain”, Dr. Anna-Kaisa Repo, the Project Manager for Rocla ART describes. “We interviewed the end users, the warehouse workers who actually do the load handling. They know the bottlenecks and the factors that slow down the process”, says Anna-Kaisa Repo. “Driving a manual reach truck is hard labor. We interviewed the end users, the warehouse workers who actually do the job”, says Dr. Anna-Kaisa Repo, the Project Manager for Rocla ART. The automated solution for load handling in warehouses was requested for several reasons. The tendency to build upwards has led to higher warehouse racks and narrower aisles. Therefore, the driving position has become non-ergonomic. “Some industries find it hard to get skilled workers, or workforce at all, because driving a manual reach truck is hard labor. When it comes to driving skills, there can be huge differences between experienced top drivers and newly employed beginners”, Anna-Kaisa Repo explains. Regardless of the obvious demand, the automation level of reach trucks has remained low. “A reach truck must be able to lift heavy loads in narrow aisles and higher than before. Automation built on a manual reach truck has not been able to respond to these new challenges. In addition, the software has not been able to utilize the automation to its full potential”, Anna-Kaisa Repo analyzes. 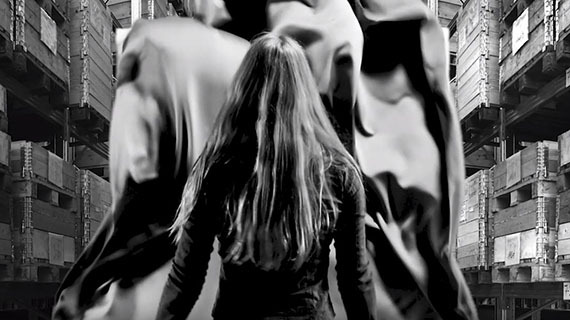 Project Manager Anna-Kaisa Repo is also the artist on the video Rocla brings ART to logistics. The conceptual design of a multipurpose solution for automated load handling began in late autumn of 2016 at the Global Design Center located in Järvenpää, Finland, and was followed by customer interviews in the spring 2017. In the very same year, a laser-guided automated guided vehicle with route optimizer and the energy optimizer, utilized in Rocla ART, was given an award by the Mitsubishi Heavy Industries Group. “We really appreciate this recognition”, Anna-Kaisa Repo rejoices. The innovation process of Rocla ART was triggered by customer needs. Fast, agile and efficient, Rocla ART is the result of the smooth co-operation between top individuals. “Our R&D, software engineers, electrical engineers and suppliers have done an excellent job. The brilliant co-operation between these top individuals is more than the sum of its parts”, Anna-Kaisa Repo concludes. Thanks to the Automated Reach Truck Rocla ART, the fleet is complete, and at best, the whole warehouse can be automated.